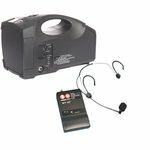 SoundRanger ® systems are complete & ready to use - just switch on and talk! 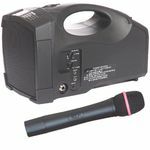 With wireless microphone, and battery or mains powered they offer a flexible PA system. The audience size is only a guide, in a quiet environment you can probably double it. These are excellent systems for indoors or outdoor use. © 1925-2019 LMS Music Supplies.